The Tampa Bay Times is reporting that Florida Governor Rick Scott has vetoed SB 668, a bill that was intended to make large-scale changes to the state’s alimony and child custody laws. For the first time, the bill was set to create alimony guidelines that calculated a presumptive range for the amount and length of spousal support. Further, the bill would have directed judges, when establishing custody schedules, to start out with the premise that each parent should have approximately an equal amount of time with children. It was that second point that seemed to be the sticking point for Governor Scott. Florida Child Support & Alimony: What is an Obligee? What is an Obligor? If you are going through a Florida family law case involving alimony or child support, you have probably run into the terms “obligee” and “obligor.” So what do these terms mean? https://familydiplomacy.com/wp-content/uploads/2016/12/Family-Diplomacy-Logo.jpg 0 0 Adam B. Cordover, Attorney-at-Law https://familydiplomacy.com/wp-content/uploads/2016/12/Family-Diplomacy-Logo.jpg Adam B. Cordover, Attorney-at-Law2013-10-30 21:39:492016-03-14 09:42:52Florida Child Support & Alimony: What is an Obligee? What is an Obligor? As Senate Bill 718 dealing with alimony reform and child custody reform has passed both houses of the Florida Legislature and seems likely to be signed by Governor Rick Scott, this blog will attempt to explain how various aspects of the bill may impact Florida and Tampa Bay family law cases. If signed, most changes (including changes to Florida’s supportive relationship laws) will go into effect July 1, 2013. 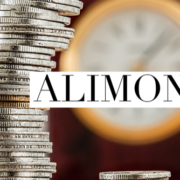 Currently, Florida law permits a person who has been ordered to pay alimony (called an “obligor”) to seek a modification or termination of his or her alimony order if he or she can prove that the spouse receiving alimony (called the “obligee”) is in a supportive relationship. As the law stands now, even if the obligor can prove that the obligee is in a supportive relationship, a judge has the option, but is not required, to modify an alimony order. Update: SB-718 has overwhelmingly passed the Florida House. Read a previous post on alimony reform for more information.